As an eBay seller, you work hard to satisfy your customers and maintain your good reputation. You describe your items accurately; you're responsive to buyers and potential buyers; you pack all your merchandise securely and ship it promptly. But one day when you open your My eBay page, there's a big red minus sign blaring in the center of your computer screenthe dreaded negative feedback. The fact is, no matter how much effort you put into pleasing your customers, you can't please everyone all the time. And face it, even you occasionally mess up. Maybe you charged for Priority flat-rate shipping and mistakenly sent the package by 1st Class Mail instead. There's always going to be some killjoy out there who gives negative feedback first and asks questions later. How do you deal with these curmudgeonsand more importantly, what can you do about the ugly stain on your record, deserved or not? First, it's important to note some big changes in eBay's feedback policy: Starting in May, sellers can no longer leave negative or neutral feedback for buyers, a policy change eBay says empowers buyers to leave more honest feedback for sellers without fear of reprisal in the form of "retaliatory negatives." On eBay, the best way to avoid a repeat episode with a bad buyer is to block that user from bidding on your items in the future. Or if you believe you've been scammed or are a victim of feedback extortionwhen a buyer threatens to leave negative feedback unless you give them what they wantreport the user immediately to eBay's security center. Read more about dealing with problem bidders in "Avoiding Problem Customers". Another feedback change on the horizon will calculate feedback ratings based on the last 12 calendar months, instead of over the lifetime of a user's eBay account. So if you have some old negatives lurking in your history from years past but your recent feedback has been good, you could get a nice little boost in your feedback percentage come Mayand vice versa. Some sellers take negative feedback in stride as just another cost of doing business. If you're a big-time seller doing hundreds of transactions a year, you're bound to come across the occasional dissatisfied customer. But if you've received a hundred positive feedbacks in the past year, one negativeor even twoisn't going to cause the sky to fall. Although, if you have a lot invested in your PowerSeller statussuch as receiving discounted feesa couple of negs could hurt you where you live. Under the new feedback policy, PowerSellers must maintain a 98 percent positive feedback score and a minimum Detailed Seller Rating (DSR) of 4.5 over the previous 12 months. By the same token, if you're just starting out on eBay and you don't have many (or any) feedback entries on your scorecard yet, a negative mark can be a devastating blow. But buyers who have a clue will read your feedback history before writing you off as a bad seller. If, despite your best efforts to be a good seller and provide a positive customer experience, you get a negative feedback, don't get your feathers in a ruffle. You have the opportunity to reply once to any feedback left for you, which will be displayed in your feedback history directly below the buyer's original comment. (The buyer can also reply once to your reply). You have 55 characters to tell your side of the story. Use them wisely. Be concise and factual, and most of all, unemotional: "Customer should have contacted me for a full refund." This is not the place to rant about what a rude, obnoxious ingrate the user is. Even if it's true, you'll end up looking like the bad guy. Once you've posted a reply, e-mail the buyer asking what you can do at this point that would satisfy them enough to leave a follow-up response reversing their opinion. The negative will remain on your record, but at least there will be a resolution and explanation there for other potential buyers to see. There are a few rare instances in which eBay will remove negative feedback. One is in the case of feedback abuse; say, a bidder you've blocked creates a new account, bids, wins and then spitefully leaves you negative feedback. Another occurs automatically, under the new policy, if the user who left a negative is later suspended or kicked off of eBay. 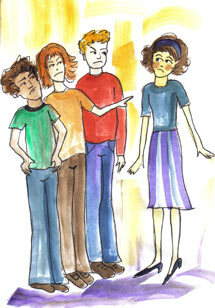 Negative feedback can also be changed through Feedback Revision after both members complete the process. First you have to get your unhappy customer to agree to it. Other than providing flawless customer service, what can you do to keep the negative types from bringing you down? It can help to add a line in your listing pages and your About Me page asking customers to contact you if not completely satisfied, prior to leaving feedback. Include this request in all of your customer correspondence, and on your packing slip. And if you still get the occasional negative feedback, don't take it personally. Look at it as an opportunity to improve your service that much more. Where is elsewhere? If it's your own website, how is it working for you? I'm planning to bail, too, after 9 years. The hassle factor is just too high. Large merchant shares thoughts about what's wrong with eBay.